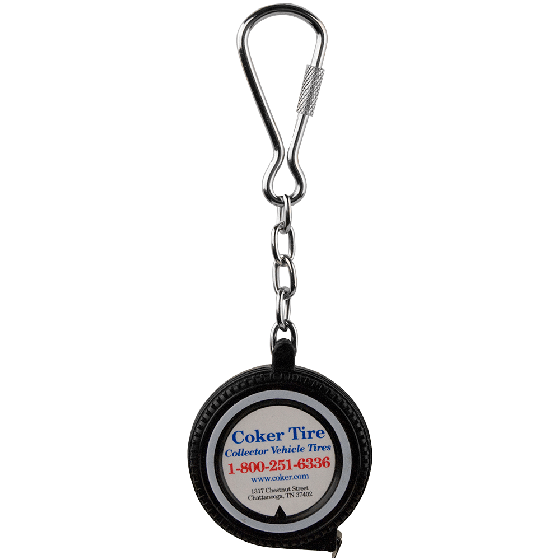 Give this souvenir Coker Tire Measuring Tape Keychain as a gift to anyone, especially classic car lovers. 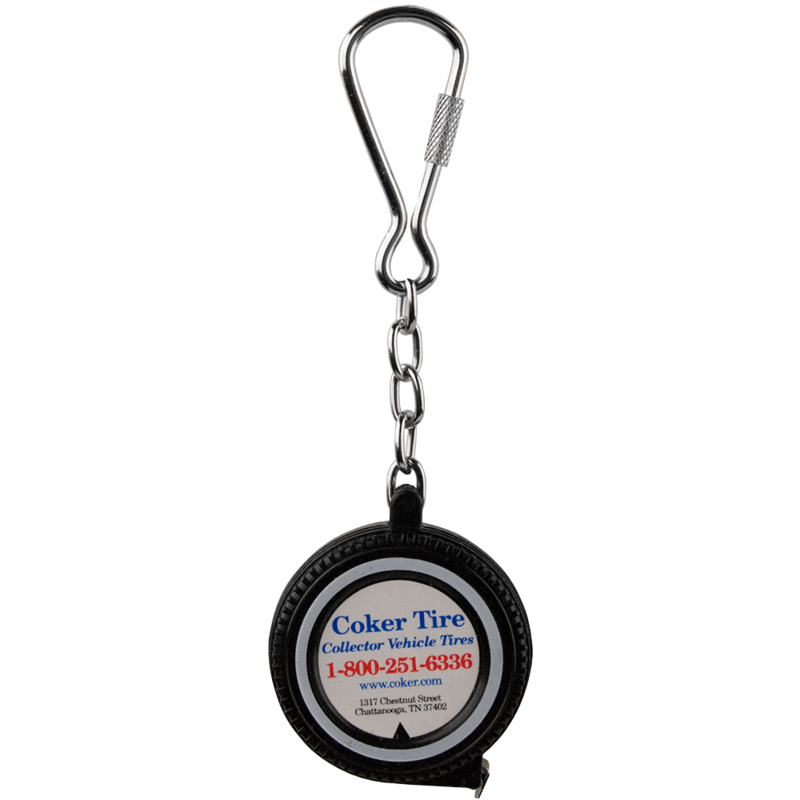 This 3 ft tape measure features a classic Coker Tire Co. logo and is shaped like a vintage tire. This handy little retractable measuring tape also has a keychain on it, keeping it handy and your keys rounded up. This tire keychain is probably one of the most handy little gadgets to have. With a measuring tape built inside the tire, you can measure anything and everything when working in your garage, shop, kitchen, and it's always conveniently located on your key ring! Tire measures 1 1/2"" wide. WARNING: Choking Hazard-Small parts. Not suitable for children under 3 years.